As a youth of about eleven or twelve, I was somewhat coerced by my best friend Billy to join the Boy Scouts. Although this experience was extremely short lived by both of us, we did manage to stay in the troop long enough to go on our first (and Billy’s last) camping trip. As I remember, we arrived at our campsite in mid-afternoon, and the first job at hand was for each of us to pick a spot in which to bed-down for our two day one night adventure. Those kids lucky enough to have tents pitched them while a couple of the older scouts constructed crude shelters from tree limbs and leaves. The rest of us, including Billy and me, cleared a place for our sleeping bags. In the meanwhile our troop leader, a pudgy balding man with glasses, and his assistant, a tall geeky-looking guy so skinny he almost disappeared as he passed behind a tree, set up the camp kitchen and their large two-man tent. After setting up camp, the troop leader sent everyone out to gather firewood for the evening while he and the assistant prepared us a late lunch of bologna and mayo sandwiches on white bread. We were also instructed to each find a stick suitable for roasting wieners, as our evening meal was hot dogs followed by a surprise dessert. That evening around the campfire after getting our fill of hot dogs, hearing stories designed to frighten us, and singing twenty or thirty lines of One Hundred Bottles of Beer on the Wall, our fearless leaders announced it was time for the special dessert. With that, he and his trusty assistant gave each scout two graham crackers, half of a Hershey bar, and two marshmallows. They then demonstrated how to make what he called s’mores. Uuuuugh! I couldn’t understand why anyone would want to ruin a perfectly good marshmallow by burning it in the campfire. Nor could I see what was so great about putting the charred confection between perfectly good graham crackers. And to make matters even worse, this concoction rendered my otherwise delicious Hershey bar enedible. It took me several years and the persistent urging of my lovely wife before I could bring myself to once again try s’mores. And I have to admit to now liking these sweet little sandwich treats, although I still can’t stand the taste of scorched marshmallow and therefore prefer to make mine in the microwave. When Sylvester Graham, a Presbyterian minister from Bound Brook, New Jersey, invented the cracker bearing his name in 1829, the furthest thing from his mind was using it to make a campfire dessert. 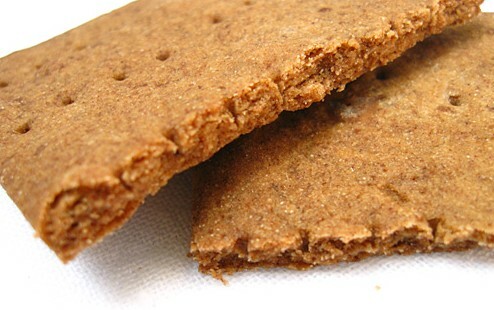 The fact is that the original graham cracker was conceived as a rather bland health food intended as part of the Graham Diet, designed to curb what Reverend Graham considered unhealthy carnal urges. Today the modern graham cracker, sweetened with refined sugar and honey, can hardly be considered a health food. This popular American cracker can now be found in a variety of flavor combinations—plain, chocolate fudge, cinnamon and sugar topped, and chocolate coated. They also come in different shapes–squares, rectangles, strips, even fish, bears, and bunnies. They’re commonly served as children’s snacks at home, school, and child care facilities. Crushed graham crackers can be sprinkled atop desserts, turned into crusts for pies and cheesecakes, and added to breads and other baked goods. And then came s’mores—the graham cracker, marshmallow, milk chocolate campfire treat that seems to have popped up out of nowhere. Although there has been much speculation about when and by whom s’mores were invented, the truth is no one really knows. Some say it was the creation of an entrepreneur named Nathaniel Ayers. Others claim it was a Girl Scout leader named Loretta Scott Crew. And while the first known recipe appeared in the 1927 edition of the Girl Scouts manual entitled, Tramping and Trailing with the Girl Scouts, there are those who credit the now popular campfire snacks invention with the Campfire Girls organization. Unfortunately none of these claims can be substantiated. As for the origin of the word s’mores, it too has also been lost in time. In the Girl Scouts manual of 1927, the recipe bears the name Some Mores. 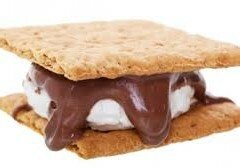 Most likely s’mores is a contraction of the phrase. 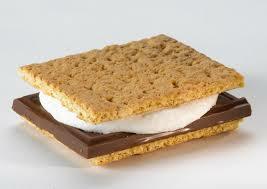 According to Merriam-Webster, the term “s’mores” was first used in 1974. So, regardless of who invented this toasted marshmallow, chocolate bar, graham cracker dessert, the fact remains that it is by far the go-to treat for campers everywhere. 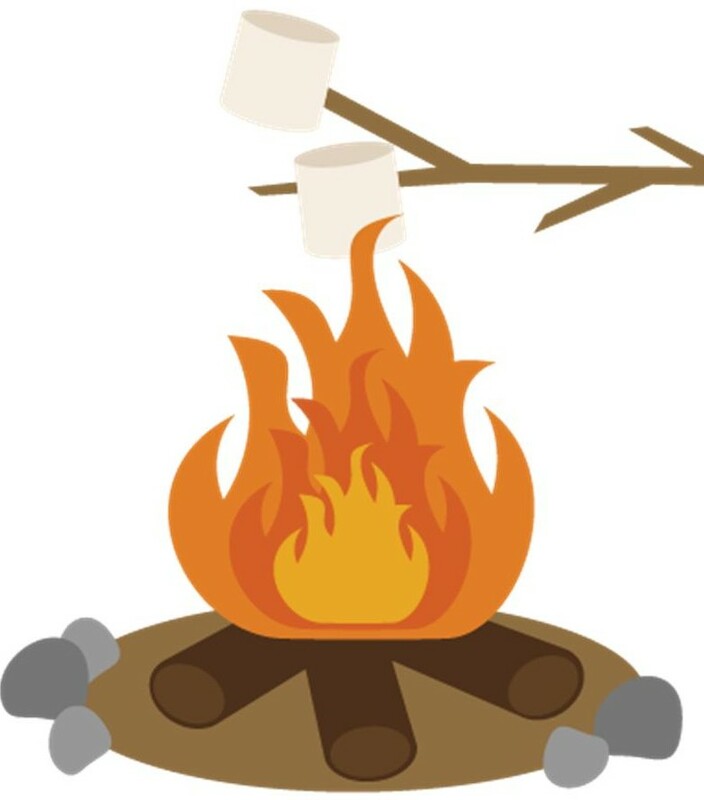 In fact one source estimates that half of the 90 million pounds of marshmallows sold every year are roasted for s’mores. A final note to this story: Mallomars and their southern cousin Moon Pies, both confections whose ingredients mimic that of s’mores, were created and first sold in 1913. Could the inspiration for s’mores have come from these earlier and very popular treats?